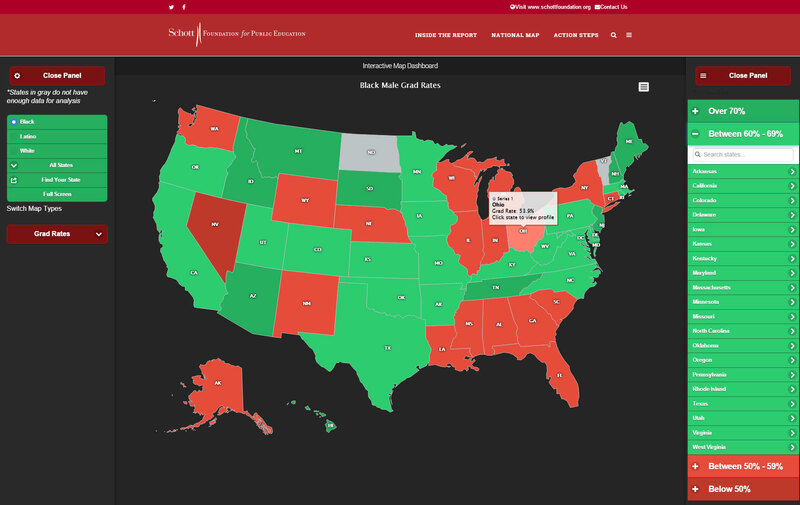 The Schott Foundation collects and publishes national data on the four-year graduation rates for Black males compared to other sub-groups and shares its finding in a bi-annual report. Take an important, 60+ page report that shapes public policies on the education of black and latino males in the United States and make it dynamic, feature-rich, accessible and engaging on multiple platforms while highlighting critical pieces of data found throughout the report. 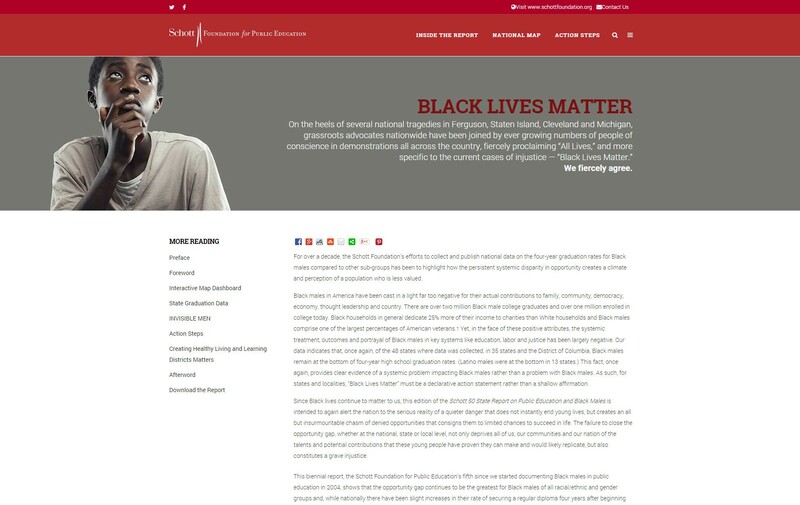 A dark and intense color palette was selected by the design team to reflect the gravity of the report's contents as well as recent events throughout the nation that have had a profound impact on minority lives. 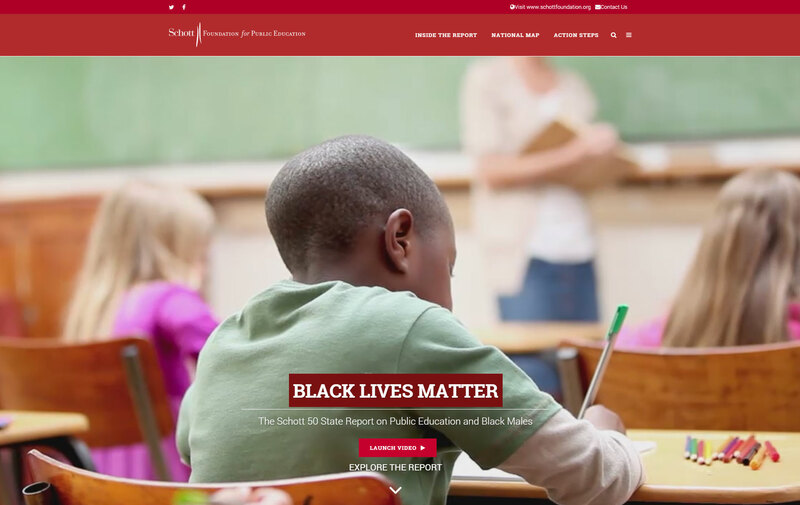 The design team also crafted a spacious homepage with a video intro to intrigue visitors and showcase a custom clip on the plight of black males and public education. The development team added geolocating capabilities that find the user's location and pulls regional stats. The development team also created dashboard tools that give broad and focused details in both graphical and statistical form. SRHGrafx consistently produces fantastic work that not only functions well, but looks beautiful. We're incredibly grateful to have found a firm that goes above and beyond to make sure the final product really shines. When we need a new website, SHRGrafx is our first call.